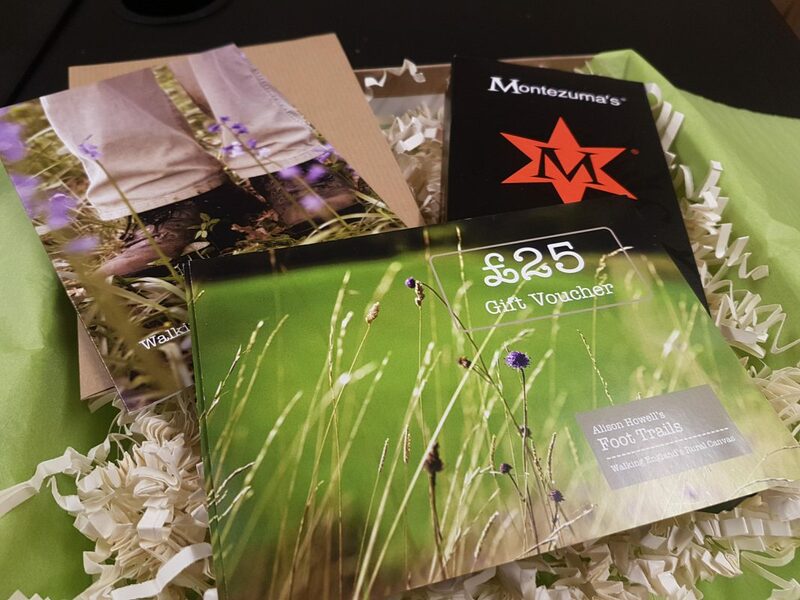 28 Nov Gift vouchers or gift experiences? Did you know that we have Foot Trails gift vouchers available to purchase? They make a gorgeous gift for anyone who dreams of walking the English countryside. Please order early, especially if you live overseas. We can also send you digital gift vouchers but we think the real think by post makes a lovely gift. If you would like to make your present even more special add one of our hand-tied gift boxes. They look awesome and contain a bar of British chocolate brand’s Montezuma‘s chocolate, and a gift card and envelope for your message. Gift vouchers are available to any value you choose from £25 minimum to £2500. Valid for two years they can be redeemed against any Foot Trail, independent, self guided walking trip or private guided walks. If you live outside of the UK please contact us via phone on +44 (0) 1747 820 626 or email enquire@foottrails.co.uk so we can advise you on delivery and postage costs. Thank you.